Welcome to Midway, the small town with a big heart for horses. 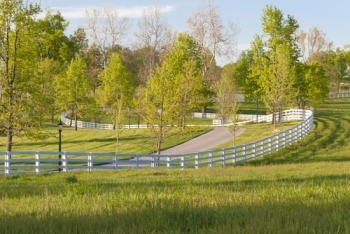 Featuring quality lands and some of the most beautiful sights in all of Kentucky, Midway is a popular place to build farms for premium horses and thoroughbreds. The small size of the community puts Midway land for sale in hot demand, as a limited amount of real estate makes the town exclusive and desirable. Midway began as Kentucky's very first railroad town, named after its mid-way location between Lexington and Frankfort, as well as Versailles and Georgetown. The natural resting spot has since transformed into a popular destination for horse farms, antique and craft shops, good people, and scrumptious food. Midway, KY farms for sale range in price from as little as $300,000 for a starter hobby farm to millions for the most impressive rural properties that are fully equipped for a commercial horse farming venture. Browse Midway farms for sale & acreages below or learn more about the Midway community below! Create a free account for unlimited access to exclusive listings. We'll even send you properties that meet your search criteria! Many Midway farms for sale feature historic homes from the early 1900s, which have been renovated and revitalized to gorgeous, grandiose estates. You'll love the original wide-plank hardwood flooring, refurbished fireplaces, and elegant chandeliers that many properties have maintained. An astute buyer will also find that there are some more recent properties on the market that reflect contemporary building styles and modern conveniences. Many buyers are drawn to the area because of the fact that Midway land is prized for its high levels of phosphorus. Phosphorus is a key ingredient in most fertilizers, and the element is instrumental to the natural development of plants. As such, those who are interested in commercial agriculture ventures will find that land in Midway is naturally rich in the minerals and elements needed for a successful crop. These same factors make the community ideal for those interested in horse farming because the mineral rich waters and soils ensure that horses have access to lush grazing pastures. 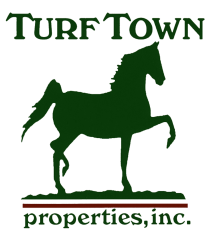 Horse farms surround the town on all sides, and many major farms and hunter/jumper barns call Midway home. The town's access to I-64 and the Kentucky Horse Park are major draws to the community, in addition to the fantastic quality of Midway land. Midway acreages retain their value quite well and tend to have good resale potential. Life in Midway is rich and colorful. The community features a wealth of community events. The Midway Fall Festival celebrates the unique character of this community and its long history of being a railroad community. A combination of arts, children's events, live music, and train-centric demonstrations ensure a fun afternoon. Midway Independence Day Celebration occurs every year on July 4th. With a flag raising ceremony, a cannon's fire at 6:00am and a pancake breakfast, this community knows how to celebrate its roots. There's also the Francisco's Farm Arts Festival that features the works of many local artists. Midway is also the home of Midway College, the only four-year women's liberal arts college in Kentucky. There students can engage in equine studies and a highly competitive equestrian team. The downtown core has also been rejuvenated, creating a welcoming and beautiful area to live, work, and play. Midway is a small town that's ideally located near bustling center of Lexington and offers the best of both a country lifestyle and big-city attractions. Homeowners don't have to travel far for excellent shopping, dining, and recreation. Or if you prefer to stay at home, you'll love visiting Equus Run Vineyards or biking/hiking along one of the many Midway trails. Send us a message online or call us at 859-608-8039 to achieve all of your Kentucky real estate goals! The data relating to real estate for sale on this web site comes in part from the Internet Data Exchange Program of the Lexington-Bluegrass Association of Realtors Multiple Listing Service. Real estate listings held by IDX Brokerage firms other than [INSERT BROKER NAME] are marked with the IDX logo or the IDX thumbnail logo and detailed information about them includes the name of the listing IDX Brokers.Information Deemed Reliable but Not Guaranteed©2019 LBAR Multiple Listing Service. All rights reserved.